One week ago, Cyclone Hudhud landed in Eastern India and it brought some bad weather to the Himalaya Mountains, too. 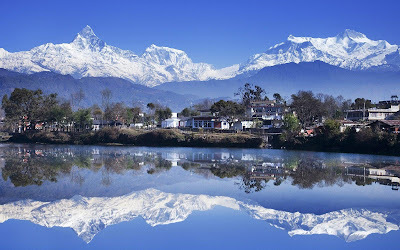 October is very popular with the courageous visitors of Nepal. However, meteorologists must have failed to predict that such a cyclone is likely to bring lots and lots of snow to the highest mountains in the world. As you must have heard, unexpected avalanches killed at least 29 people yesterday even though 220 people have been saved. The casualties include 4 Canadians, 4 Nepali guides, 3 Nepali herders, 3 Indians, 3 Israeli, 3 Poles, 2 Slovaks, and some people with unknown nationality. The total number of casualties may be substantially higher than 29. For example, there are 80 Czech citizens in Nepal right now; 30 of them remain "out of signal" and many of those are known to have visited the Annapurna Circuit trekking route area where the tragedy took place. Similarly, 30 Slovaks remain "out of signal", too. It's conceivable that there exist nations outside Czechoslovakia as well which means that the total number of casualties could be comparable to 100 or higher. Today, Rudolf Švaříček, a boss of the Livingstone travel agency whose talk I attended last June, is the main guy among the 7 Czech citizens who were saved by a helicopter on Friday. Even before the sad statistics of the recent days was incorporated, among the 14 mountains taller than 8 kilometers, Annapurna was the deadliest beast. If I remember well, less than 200 ascents have been successful but 50 or so have died during ascent and 9 more died during descent. In this sense, a plan to climb to Annapurna should be classified as one third of a suicide attempt. It also means that someone dies there pretty much every year – and every decade, a human life could be saved just on Annapurna if there were better communication channels. A typical GSM cell site (antenna for cell phones) costs about $250,000 and the range is up to 35 kilometers. The range may be shorter in a more complicated terrain but it is not "incomparably smaller". And there are extra expenses in the mountains but they are not infinite. My point is that a good coverage of the Annapurna region may be achieved just with a few new GSM cell sites. One may learn that there is actually some coverage near the trekking route but the providers are pretty much Nepali companies and the signal is lousy. Given the importance of the mountains for foreigners, and especially wealthy foreigners, I find this fact sort of crazy. Just to be sure, the population of Nepal is 26 million people (2.5 times Czechia) and the area is 150,000 squared kilometers (2 times Czechia). The average population density doesn't differ from Czechia much but the average GDP per capita is 30 times lower. 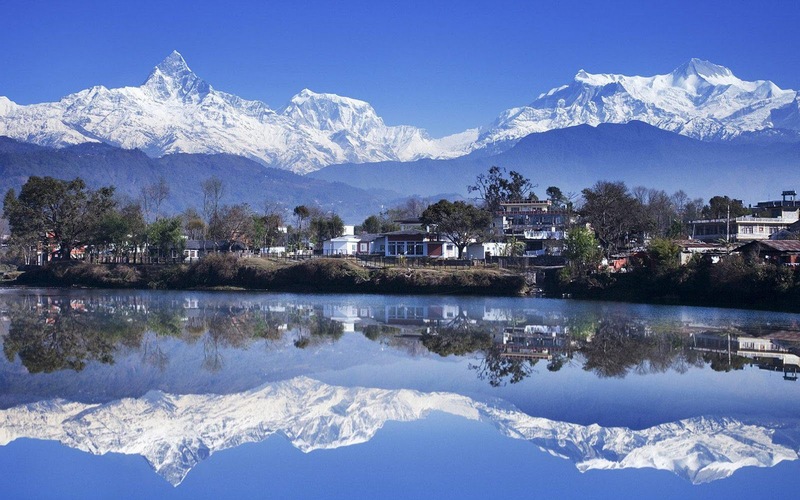 Every year, almost 1 million foreign tourists visit Nepal. I believe that most of those go to the Himalayas and these trips are rather expensive, tens of thousands of dollars per person in average. My point is that much of the money that is produced or spent in Nepal is actually connected with the tourists and they're more likely to use cell phones and mobile Internet. That's why I would find it natural if the providers of the communication channels were Western companies that negotiate conditions with Nepal so that they can behave as if they were on the U.S. or EU territory. It could save lives, make the extreme journeys more comfortable, and help the Nepali folks as well.